Study suggests Russian trolls helped amplify the Last Jedi "backlash"
Nearly a year after its release, it’s accepted wisdom that Rian Johnson’s Star Wars movie, The Last Jedi, was a controversial entry in the franchise’s canon. But where does that “controversial” reputation come from? Mostly the online discourse—always an unruly hive of scum and villainy—which has seen the movie’s stars (specifically women and people of color) hounded off of social media, and Johnson’s own account frequently addressed by people supposedly pissed off by the movie’s politics. But now, a new study out of USC suggests that some of that outrage may have been manufactured, at least in part by some of the same forces that sought to influence the 2016 elections, i.e., alleged bots and Russian internet trolls. Titled Weaponizing The Haters, and penned by researcher Morten Bay, the paper combs through tweets directed at Johnson in the wake of the movie’s release, in an effort to analyze the motivations and origins behind some of the online negativity around the film. 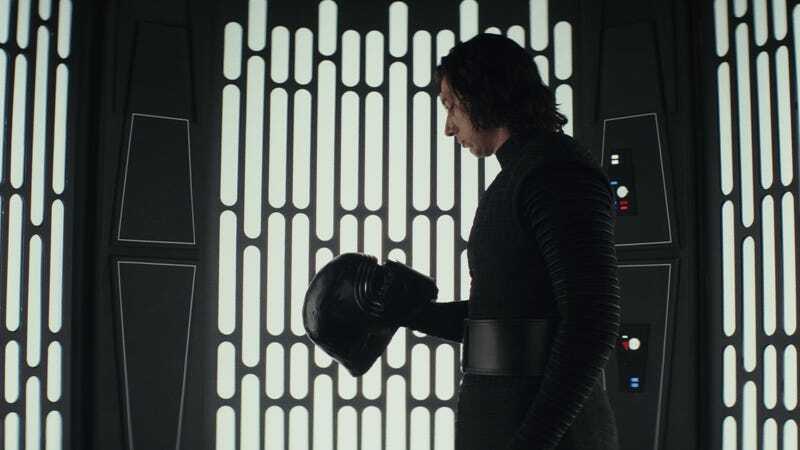 Although Bay is careful not to draw any bold accusations or assumptions about the reasons the controversy around The Last Jedi was shaped, he does note that the tactics on display weren’t uncommon among Russian actors and extreme right-wing operatives during the 2016 electoral race. At the time, numerous pop culture and nerdy groups were infiltrated by politically motivated voices, who attempted to lure them in with shared connections and gripes (i.e., the “They ruined my childhood!” school of changing hearts and minds). Ultimately, his research found that “Overall, 50.9% of those tweeting negatively [about The Last Jedi] were likely politically motivated or not even human,” which hey, Morten, we could have told you that last part for free. As with any Twitter-based research, Bay’s study has a lot of holes. (It definitely would have been nice to get a similar analysis on all the hate being spewed at Kelly Marie Tran, instead of Johnson, a white male.) But it’s still an interesting look at the ways we’re trying to be more thoughtful about the way people talk to each other online, and where ideas like “Everybody hated The Last Jedi, and everybody knows it” possibly get their start.